Hin Hollywood Canteen, a very old school coffee shop situated off Tanjong Katong Road, was once a favourite lunch place for “old-timer” city harvest church goers. 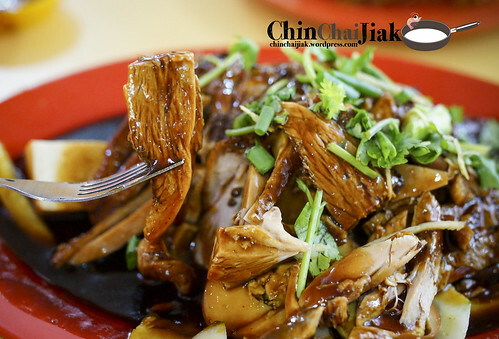 It was closed down in August 2011 and many coffee shop stalls were missed dearly and one of them is Lian Kee Braised Duck Rice. 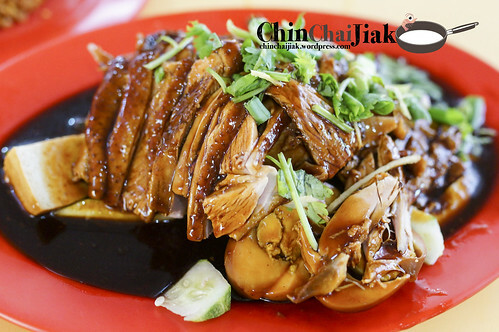 As per iEatiShootiPost post, Lian Kee had reopened at Sims Vista Market and Food Centre, and had changed their name to Hollywood Duck Rice on 19 September 2014. 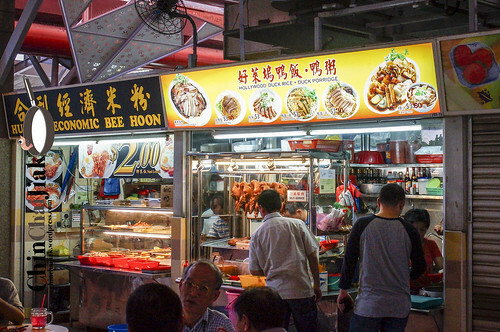 A friend brought me to this braised duck rice stall a few years ago. Although i only vaguely remember the taste, it was quite a pleasant experience then so I specially made the trip down to it’s new location. I ordered a braised duck for two with added Tau Pok, Tau Kwa and Eggs with two rice. I was rather surprise that it only cost me about $12 for this quality and portion. 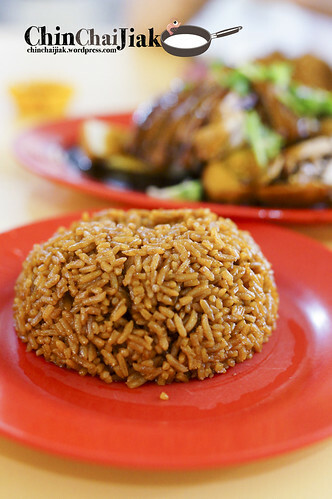 The dark brown rice is cooked in braising sauce that gives out a subtle herby fragrance that is delectable by itself. Topping it with the thick and flavourful braised sauce only makes the soft fluffy rice even better. The duck meat is tender and succulent as I remembered it (even for the breast meat), while the flavour infused duck skin adds a slight bouncy texture. This duck has zero unpleasant “duck smell” and is enjoyable to the last bit of meat. Not to mention that the braised sauce has just the right level of saltiness and the thick flavourful gravy is something worth visiting for. 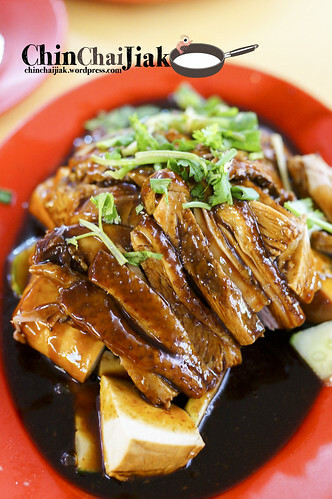 Their braised egg, tau pok and tau kwa are all cooked in the same braised sauce. When the gravy is this good, nothing much can go wrong. The sweet herbal duck soup also works well for me. This is a well worth visit. Although it’s at a very ulu location, it’s within a short walking distance from Aljunied MRT. Apart from the taste, i thought it’s very reasonably priced. A plate of braised duck rice cost only $3.30, considering the effort behind for braising the duck and rice. Apart from rice, they also sell duck porridge, noodle and kway chap.